For the benefit of those who may not know where Senafe is, here is an important synopsis relevant to this article. According to Wikipedia, Senafe is a “market town in southern Eritrea, on the edge of the Eritrean Highlands. The surrounding area is inhabited by the Saho people and the Tigrinya people”. In other words, Senafe is a stone’s throw from the Northern Ethiopia, the State of Tigray that borders Eritrea. It obviates it then for Senafe to be one of the towns impacted by the 1998-2000 war between Eritrea & Ethiopia. It obviates it also for there to be a unique hint in Aboy Siraj’s beautiful Tigrinya: that strong yet distinct accent any border dweller tends to have between Tigray and Eritrea. If you understand Tigrinya though, please listen to it, I guarantee you, you are bound to hear it more than once, simply put, it is that good. There is a great deal that one can unpack in this speech. Nonetheless, for those who do not understand Tigrinya, the language in which the video clip being shared, herein follows, a synopsis of sorts. So, Nsu (Isaias) & several of his cohorts tout this meeting as an open discussion with the president. Aboy Siraj is given free reign it seems as the video clipping spans almost nine-minutes. Aboy Siraj warms up the audience, the leaders, and all in attendance by thanking them for gathering together to discuss their issues (video above). The way he frames the Senafe peoples’ dire needs vis-a-vis the aging roads replete of potholes is illustrative of the skill Aboy Siraj capably dispenses. Instead of asking bluntly for the need of the road rehabilitation project as any citizen of a country would demand in a normal country; as the transportation industries effectively have stopped servicing the public need for transportation due to wear and tear on their tires making it not worth to service the lines in question; here is how skillfully he does this – paraphrasing here: When we hear our leaders are coming we worry about the potholes that might cause you to trip and fall. We worry about your safety. When he wanted to illustrate how the same roads had its golden era during the previous rulers, he doesn’t simply whine and complain of how the roads have deteriorated over the years nor does he make any mention of the former dictators associating them to any positive light. He knows all too well that these are not normal times nor normal leaders that he is dealing with. So, he saves the invoking of former rulers only for derogatory purposes for when he was ready to attack the former dictators on different issues. How many times have we heard, by the way, Eritreans in the opposition touting that Derg and Haile Selassie were benevolent in comparison to our own. Aboy Siraj never goes there – No need for that and it is too risky besides. At any rate, back to the narrative: he tells a story of how two travelers one who knew the road so well and one who didn’t know where the line that separated Eritrea from Ethiopia were; naturally, the traveler asks his companion where the former ended and the latter began as they headed to Ethiopia; the experienced traveler’s response: just pay attention to the roads, what the roads would tell you appears to be the answer. And, sure enough the minute the border line was traversed the bus begins to hump and bump with so many potholes, that was an indication that the smoother roads belonged to Eritrea’s side and that was where the border between the two countries hence begin to diverge. This is how one skillfully conveys prudent message without antagonizing those who wield unwieldy power over individual citizens. Through it all Nsu is happily laughing and clapping while the wise man, Aboy Siraj was insulting the regime’s incompetency and ineptitude. The ending was exceptionally astute in that Aboy Siraj self-deprecatingly telling the leaders that uneducated person is bound to make a mistake and is bound to make blunders, as such, he urges the leaders to forgive him if he made some slippages – Talk about ze’akhlen Tihinen bEAle Mariam ybla. This is, after all, a man who outlived three regimes in his life, if not more. He knows he could be imprisoned for his remarks if it was viewed as insulting of the leaders, which it was. But, he took a chance, through humor, through pleading, and through self-deprecation, and through plethora of proverbs, he was able to outwit the regime. Interestingly, in those nine minutes Aboy Siraj uses, by my count, about 15 proverbs. What makes unique about his use of proverbs is that he appropriates, expounds, and re-articulates to make a larger point with most of the proverbs that he shares with the audience. He doesn’t simply let the proverbs do the explaining; he doesn’t simply spill these proverbs; he makes them part of the narrative with impeccable talent at oratory; he simply disarms his audience as applause lines can be heard over and over throughout those nine minutes of speech. Counting those applauses, the way the proverbs were counted here could give the reader an idea how well Aboy Siraj’s speech was received. 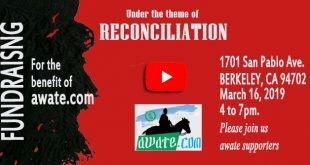 But, deferring that to those who will be watching the video clip before reading this piece to do the counting and report back to the Awate discussion forum, would be fair. Wouldn’t you say? 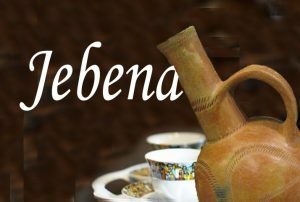 If the reader wishes to further learn about the “anatomy of a proverb” in Tigrinya language, invoking an excellent article written by Burhan Ali by the same title is appropriate. Proverbs in Tigrinya are alive and well. In fact, Aboy Siraj, who, by the way, passed away just late last month, may he rest in peace, interweaves it so seamlessly – in the ironically touted “Open Discussions with the President” that leaves its audience like me astounded at the man’s ability to make a case in public arena. Seldom can one get away under this regime, a regime so brutally repressive that leaves its citizens paralyzed of fear and wouldn’t even dare to think ill-thoughts of the regime because they somehow could be imprisoned for their un-uttered thoughts. Case and point: One of the United Nation’s CoIE witness account, in fact, said something to the effect – he was afraid, so afraid that he thought his thoughts could get him in trouble with the regime. Or, who could forget of the bright young Eritrean University law student who asked Nsu (Isaias) some tough questions, and from the way the response went, it was obvious the young man was going to be in trouble. (1). The fact that a stranger in a nine-minute video clip can make an impression on the art of making a case for one’s cause than in some cases those who have spent a lifetime opposing the regime is just remarkable feat. For example, Aboy Siraj’s powerful moment comes when he mentions about UN resolution and Wayne’s mistaken notion of keeping matters in limbo just because it can. 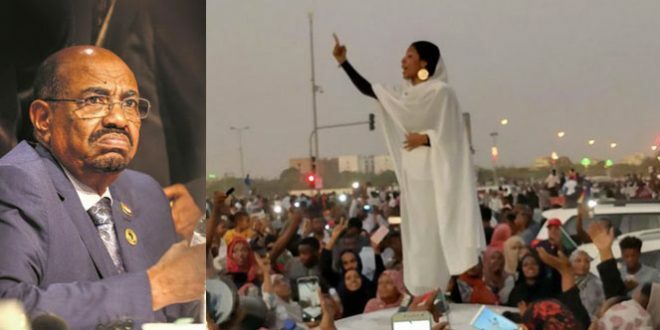 Aboy Siraj’s clear eyed response: Well, there’s no such thing as a second resolution, he uses a Tigrinya proverb to make his point of not wasting our time and that the verdict was sealed, done and over with. Aboy Siraj adds this powerful and emotionally heart wrenching rendition: How our heroes of yesterday and the youth of today at the frontlines even the unborn heroes in their mothers’ wombs will be ready to give their life for their country – There is no shadow of a doubt there. Eritreans care more about their country than they do about their tummies, he added. His repeated message to the powers that be who were listening is always to consult with the stakeholders (shura). The final rub: he reminds everyone that farmers don’t resort to hand-outs. Eritrean farmers find a way to survive. (2). There is, definitely, a lesson, an important one at that, which can be gleaned from this clip: Making a case for one’s cause is an art, be it in the political discourse or societal conversations. We need NOT resort to insults if we want to convey our message in a way that the listener can be receptive to our ideas. In fact, Aboy Siraj’s larger message was to show some caring about one another in that if people can gather in a loving environment there isn’t a thing that they can’t solve or can’t accomplish. There must be mutual respect amongst the stakeholders. There must be a pause to carefully listen as we consciously free ourselves from the “implicit bias” that studies after studies show we human beings seem to have some innate dispositions for. (3). One couldn’t help but wonder if Aboy Siraj had filled an important void in so many of us who never had a chance to see the wisdom of our forefathers firsthand. The shmaglle Addi – the Elderly Statesmen – who played an important role in the continuity of social and communal cohesiveness that has been sorely lacking for so many years now. Who could forget the shmaglee Addi who tried to mediate when the G15 were imprisoned, who in turn ended up in the prison cells themselves; some who are still languishing in the dungeons at advanced age while others ended up dying in humiliation and indignity. Perhaps, that is the space from which we have been responding with such affinity toward the man irrespective of our political positions vis-à-vis the regime at hand. Who could forget the Jeberti father figures who went from Saudi Arabia to Asmera to speak some sense to the man, some of whom ended up in jail for several years. I would imagine, it is to these deeply disturbing actions the regime had been using that we found a refreshing respite in Aboy Siraj. Curiously, did Aboy Siraj think he was the luckiest Elderly Statesman who outshined a man who wouldn’t even spare the very “Zoba debub” governor, Ato Mustafa Nurhusein, whom Aboy Siraj references in his speech, who has since been sacked into a system that devours its own to never be heard from again – Erasure of the highest order. One thing that I have been bothered by since Aboy Siraj’s passing is that I didn’t come up with the idea of getting him to perform Haj. I just hope he has had that chance in his lifetime. It would’ve been one ultimate show of generosity toward a man who appeared to be a man of faith. He may not have direct bloodline to my immediate family, but as my countryman though, he certainly filled that fatherly wisdom, the void of which we in Diaspora have been experiencing for decades now. May his soul rest in peace! Yep, that’s the late Aboy Siraj, indeed, with that distinct speaking style. Thanks for sharing. One can see the hencho men in the background, namely, Mesfin Hagos, Isayas, and Haile Diru’E – gegay ykhlallay ember. Perhaps, it was too early for KuBur Aboy Siraj to realise the fact that he was cheering to a man, who doesn’t have his good in mind. Aboy Siraj was just expressing his deep love and passion to the land and people he belongs to. But, HGDEF is now abusing and manipulating such honest and humble speeches of our dads and grad dads for their own mendacious propaganda purposes. I saw on my own eyes when a woman, who identifies herself as pro HGDEF, using a similar video clip below to justify the amount of public support her regime is receiving back home,, before I was forced to intervene and called her audience to prove the fact that the speech was made almost 17 years ago, and should not be used to reflect the current relationship of the regime with the public. Too much is happening behind the scene folks, Europeans are always easy meat for Issias and his cadres to cajole them into denying the reality in Eritrea, and this is why HGDEF is now winning in a battle of diplomacy in Europe and elsewhere. Wake up folks!!!! I am not going to down paly the speech, so I am not one of those who will criticise the good name of Aboy Siraj and there is much to admire, courageous and an honest man. But not with the duty and responsibility of speaking truth to power, whatever the personal consequences might be. probably pompously. that if he knew, which he didn’t probably, he would certainly not tell him, all he needed was to comfort IA ego and to let him know that IA is great leader and brilliant, and would be so loyal that he would tell him whenever he thought and he did not risk making a mistake. At end Aboy Siraj , delivered an honest informed advice. In IA manufactured consultation conference even Aboy Siraj like him, had their say. that this was as wise as it was polite for IA who make you feel there is consultation (Shwra ) and put your input . it makes sense to listen to informed advice on how particular proposals might play in Senafi area. The realty is IA will ever implement any policy what ever he learns of it, from a speech from Abu Siraj On the face of it, Speeches and narrative should ideally reflect, not determine, policy. Aboy Siraj knows well, his beloved city Senafe is suffering greatly and Senafe would greatly benefit if there was peace with Ethiopia and an open border, and liberalise trade, markets and politics. Aboy Siraj Realise how peaceful and prosperous would have been for both side. That is for another day. IA lack an alternative prism to interpret reality and can do nothing about it. Only political famine persists and resulted in catastrophe. He never formulated an alternative vision that enjoys any kind of Eritreans appeal, other than stay the course no peace and no war, IA never attempted to formulate new social and political visions. IA neve rose to the challenge. This resulted is serious economics and geopolitical blunders. IA do not know exactly where Eritrea is headed nor and where the world is heading. Aboy Siraj played safe and he knew his limitation, he was at least carful and thoughtful, it is important to keep in mind and stay in line. should actually come as no surprise, Eritrea its economy in shambles, and its people in desperate straits and great poverty although what one sees is a great dignity in people fasces. Aboy Siraj knew IA is not “economic and political reformer” he was not going to go for the jugular, there is no stomach for it. There are many reasons, he could have done a lot better than he did. Aboy Siraj “knew” in his heart, with whom he is dealing with. A dictator and Commander-in-Chief and without being clear, even in his own mind, what he was up to. it seemed inevitable. Aboy Siraj played, self-expressing in parsing and admiration of IA “false legacy” is therefore safe play, Consciously or unconsciously known well IA is widely, and justifiably, despised and adorned by a downright moron . the nightmarish Eritrea already Tooke shape under IA’s aegis, awful to a whole lot worse and is moronic or much worse he is. So long as persons of every degree behave according to fixed rules which everybody knows, their actions under all circumstances can be predicted. As long as the non-aggression principle is not violated, a wide variety of answers to social questions are possible. Had Aboy Siraj seized that town hall meeting and used opportunity, he would have done far more good than he actually did. Instead of making himself a footnote to IA, he could have made history itself – by striking a decisive blow at Eritrea one party system and one man show. Aboy Siraj wise man, could easily stated. We can either get together and express ourselves democratically and develop collective solutions, or we can leave people facing a wall, facing catastrophe. Aboy Siraj may his soul rest in peace. Agreed. What Abona Siraj said with honest eloquence ኣይንልምንን ኢና ሓሪስና ኢና ንበልዕ ስለዚ ማሽናት የድልያና እየን ጽርግያታት ካኣ የዕርየልና thats pretty much it. Was it inappropriate for Abona Siraj to use ኩቡር ፕረሲደንት title or is the author accusing Aboy Siraj for being too deplomatic? The late Aboy Siraj knew well how to walk the fine line between getting in trouble and staying out of trouble. He managed to stay on the side of the latter. One can’t accuse the late Aboy Siraj for being a diplomat. If anything he should be commended for it. Welcome to awate. Yilmedebeh as grumpy Abis people say. There is also another grainy video of Haji Siraj I hope you will find it. Like u said IA and Hajj Siraj have a unique dynamic: both are huge fans of the Tigrinya language, one is the custodian and the other is the reinventer. A very traditional man, Hajj Siraj understood the respect due a Negus–just or unjust–and that of gebar (taxpayer, not citizen, because he has never been in his entire lifetime, God rest his soul in piece.) He played the role of the court jester, flattering the king and between the flattered speaking for those who are less articulate and less bold than him. Now the context of the video shared here. It was weeks after the 2009 sanctions and although he had no reason to be surprised (after all his adventures in Somalia after 4 years of warning) Isaias was shocked that Eritrea was sanctioned (he is the king of miscalculations after all.). 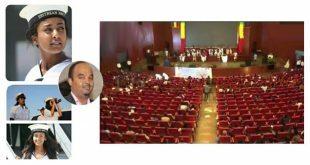 Back then Governor Mustafa Nurhusseim had very close relations with Isaias (he was Black Label friend if you know what I mean) and to cheer up the king, he organized the “public seminar” where he could hear how beloved he was. Way way way back in the days of MoI Beraki, the “public meetings” had spontaneity and anybody could address the president. But over the years they were choreographed. And bothe mustapha nurhussein and Isaias knew exactly what Hajj Siraj was going to say. Incidentally, I have seen the same video now aired by the PFDJ kiddie websites. And since Mustapha Nurhussein is now an “unperson” in Orwells term, the video is edited to remove him. So again everything about Eritrea is bittersweet. I was hoping you and iSem to commend on the proverb he used to make his points, after all the bashing you too did :). Who has a chance to debate him? You say, they have Tigrinya in common, I think if IA is considered a fan of the language, I think he title would a killer not an inventor. I liked the benchmarks (sort of) you used to assess Am Siraj’s speech. The mention of role of a “court jester” reminded me of similar episodes in the royal or feudal courts of Ethiopia where the jesters (folk musicians included) used incredibly unimaginable flattering and praises interspersed by some criticism or abuses. Actually that was how the so called gold and wax aspect (sema werq) of their language developed. Sometimes jester faced real danger for their lives. Thus, I think it is fair to read Am Siraj’s speech in the way you did. Here, the artistic aspect is more important in view rather than the content or the message. As I noted in my brief comment in supporting Aman for his appreciation of the author, his command of the language and skill in oratory caught my admiration. It was commendable for a man, who had not been formally trained, to use so much relevant proverbs in so little time. Moreover, if we consider the oppressive and vindictive nature of the despot and his regime, the man did not have much manoeuvring manuvering space but deliver his remarks in the way he did. He had to shield himself, which he did so shrewdly. After all, the event was taking in a place (Senafe) in which so many tragic things such as banishment of fighter like Mohammed Adem (Bani) and shooting of Fatima Mohammed’s husband before her own eyes had taken place, not for any crime but for what they said was not liked by the regime and his henchmen on the spot. I would think that the memories of those events could have still been on the mind of Am Siraj, and might have been aware that telling the despot what he told him to his face had highly dangerous price. I am sort of with you on the qualifier sort of 🙂 I know what you mean: most court jesters play the “fool” or “the lunatic”. Hajji Siraj never did: back straight, voice loud, fingers wagging he can’t be confused for one. What I meant by the comparison is and u understood me is: all absolute rulers surround themselves with yes men, and it takes a special skill for a no-man to penetrate the wall. That skill might be pretending to be a fool, an entertainer, or a skilled rhetorician who sprinkles his direct requests–we need better roads, machinery, and access to drinking water–with a truckload of compliments and using the crutch of tradition (8 proverbs in 8 minutes). Brilliant and alert as always; thank you. The qualifier was meant exactly what you understood and explained well. It was an attempt to be cautious. It was meant to distinguish Hajji Siraj from those I had in mind when I said I was reminded of my ‘ancient’ readings in some chapters of Ethiopian history. 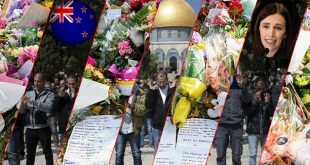 The court azmaris and alqashol – folk lyrics reciters at official happy occasions and funeral processions – cannot at all be compared Am Hajji Siraj. Hey SAAY: out of many thing that gets me with PFDJ is when the keep editing photos of persons and historical facts of people who have done everything for the country. 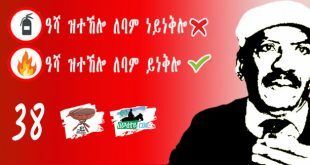 How can you talk and celebrate about Nadew with out mentioning and giving his due to Mesfin Hagos? I mean……. I know …but. NOT cool nor right just stupid. You already threw that once in a year/s objection to PFDJ, so SAAY can at times say “even Nitricc, unlike the zombies….”. You still toothless and conformist, two of your favorite insults :). Aboy Siraj has performed Haj since more than ten years. It is comforting to know that he did fulfill his religious obligations. I thank you for this reassuring news. The spiritual end is at long last what would give comfort to his loved ones in particular. Spinning the speech of Aboy Siraj in a way that suits your political agenda is a big disservice to a beloved Eritrean father and an icon. Here are a few points in brief that may help straighten the record. 1. The one we see on the video was not the only time Aboy Saraj spoke in public. I can remember at least 3 televised public speech out of which two were in the presence of PIA. He and PIA have special fondness to each other, and as one can easily see from this video, Aboy Siraj keep showering Isaias with endless praises which I believe does not come out of fear or deceptive undertones. 2. There are countless occasion where many citizens put forward their demands in the presence of PIA and I haven’t heard anyone of them jailed simply for asking the government to repair their road, or build a hospital for them. Hence, I believe Aboy Siraj’s way of putting his request in such a manner only emanates out of his talent, eloquence and respect, not out of fear as the writer tries wants us to believe. 3. Aboy Siraj is brutal in denounce the previous Ethiopian occupiers in Eritrea. He has no admiration or respect in any form. The road from Asmara to Senafe was built by Italians not by Ethiopians. It was extremely in bad shape in the Derg era and the only time I remember it going through a major renovation was in mid 90s by the current government. So trying to say Aboy Siraj’s speech had some hidden message as if previous Ethiopian leaders were better is categorically false. On this video, Aboy Siraj refers Mengistu by name, and he refers him in very ugly manner. 4. The writer’s and other commenters effort to relate Aboy Siraj’s beautiful tigrigna with that of Tigray is also another lie. Except for a very few words and a very minor accent in some occasions, his Tigrigna has no resemblance to to Tigray Tigrigna and is almost a 100% pure Eritrean Tigrigna. 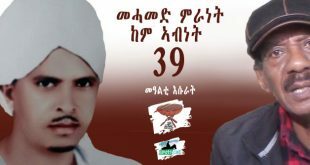 5, Finally, I wish he had to see some good days coming to Eritrea that he loved so much before he passed away. But since God chose to take him, may his dreams of Eritrea come true and may his soul rest in peace. Aboy Siraj had to make a case but he had to play it safe to escape the wrath of Al Capone. The easiest way to dodge Isaias’ whim is not to say bless you before Isaias sneezes but by vilifying Ethiopian rulers including the Weyanes. Disparaging Weyanes has become a sort of an ID where one is taken for hagerawi sadly including with in the Opposition block as well. The tormenting fear gripping the Eritrean people has pervaded households where family members remain suspicious toward one another. The eerie atmosphere is perfected when prison cells and underground dungeons are replete with men in a limbo between the dead and unliving. From both of your comments on this article I feel like you are either an Ethiopian who are not settled with Eritrean independence, or an Eritrean who have limited knowledge of Eritrean history and with a unionists tendency. With my limited English, I would like to point out the following facts for you. 1. Language or cultural similarity doesn’t make countries. If that was the case, we would have fewer countries in the middle east. Somalis in Ethiopia are closer to Somalia, the Gambelans are closer to south Sudan, the Eritrean Hidarib are closer to Sudan, I can go on and on about almost for every country in the world. So if you like to know why Eritrea is a seperate country you need to go back and study history. 2. ‘Disparaging Woyane or previous Ethiopian leaders’ to me is calling a spade a spade. Woyane is illegally sitting in our land. Calling it names is the least we can do. Be assured that we won’t sleep untill we get what is ours, and we won’t hesitate to go for a kill at every chance we get. 3. 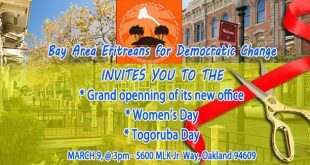 Eritrean peoples struggle for democracy and rule of law has nothing to do with Eritrean independence. So it is good if you refrain from inserting your pro Ethiopia views in topics that has nothing to do with it. you got it right, it’s like shetarakha- dele, getmnaka- alena kind of saying nay Asmara parlance. Enter Elias* Kifle: He flies to Asmara to interview Isaias and the interview goes on where Isaias the Philosopher-King covers “many areas” with an incredibly boring tone. Something weird of some sort however was an after taste where Elias presented the questions in Amharic and Isaias responded in English. One of course may shrug it off assuming that Isaias may not be at ease with Amharic as in proficiency, the fact of the matter is however more than the naked eye can see. Isaias is fluent in Amharic. 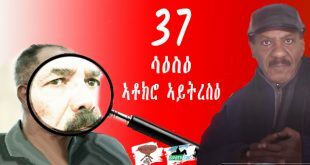 The message Isaias enforces with a perpetual machine is he is not willing to speak languages of an enemy where Arabic or Italian languages are in a huggy-kissy infatuation with Tigrinya including in the bubbly world of the yes-constituency. One would not be excused if one doesn’t think that this is indeed bizarre. The need to enforce the bigoted psychology has of course its own raionale. Not that rationale as in manufacturing a new identity. Rather it has a lot to do with the fact that Isaias has nothing to show for. If he had succeeded in turning Eritrea to say Singapore, there wouldn’t be any need to justify independence. But the fact that Isaias couldn’t deliver anything tangible except blunder and squander with in the last 25 years he had to resort into bigotry behind the caricature of Eritrean history. Enter Aster Fessehatsion: She is assured that nothing would happen to her when she flies back to Eritrea not of course to Interview Isaias but to tend her kids as her husband was thrown to prison for enquirying about the Badime war not only why it was a total defeat but also why Isaias started it without consulting the Eritrean people which left thousands otherwise productive young Eritreans dead. Aster was taken away right after she arrived while her kids were waiting for her at arm’s length. Petros Solomon could have played it safe by vilifying the Weyanes and demanding for the Weyanes to get out of Badime instead of challenging Isaias by asking the-road-to-perdition questions but character is the measure of a man and that is precisely the striking contrast between integrity and the yes-constituency. You mean Aster Yohannes. Aster Fesehasion is one of the G15, who is in jail with the rest. Yes you’re right I meant Aster Yohannes. Thank you. Hi TES: I have watched the clip long time ago and i have watched it countless times. I was simply impressed with the way the language of Tigrigna used and the the way the message was conveyed. For me it test-less for some one to bring and twist it in to political BS. The most stupid take that left me with hmmmmmmmmmmmm and knew what the hidden agenda of the writer. cheap one at that. Credit to you sir for taking time to write for this great person with great personality. The writer and I believe awate is more interested in the style, than the content of the material posted above unless Saleh Johar proves me wrong. 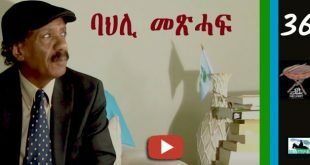 I agree that Aboy Siraj ( Rebi Yirhamelom) who indicated in the clip that he is uneducated, is a gifted person to come with such articulation. The content is shallow: abundant praise to the dictator. For PIA who depicts himself as pragmatic listener, that was an entertainment show . This material came in current environment where some narrow minded persons try to relate language to a religion where they indicate for example Tigrinya to Christians and Arabic to Muslims. Well this material is proving them wrong. By the way Isayas Afeworki’s articulation in Arabic is awesome. And had we had good relations with our neighbor south of the border and Aboy Siraj had paid a visit to Adi Grat , the anecdote about where ends our border would be reversed and the south of the border proverb goes “Better say I have than I had ( ካ ነበረኒ አንኤኒ). And I find anecdote is not appropriate as our ego and superiority syndrome have proved us wrong and won’t help to the lasting peace with the people south of our border. Awate’s relation to the article is similar to its relation with your comment. If someone says: Brhan and Awate said Aboy Siraj is shallow and uneducated, unless Saleh Johar proves me wrong. Would that be correct? You know about interpretations and that is a gooofy mistake you made. Mind you, I am not saying anything about the article but about your comment. Why do you involve awate when you have the name of the author clearly stated? Many thanks for sharing the clip and most importantly your narrative laced with a brilliant English is impressive. I say you stole the show. This kind of top of the line brand is “marketed” only in Awate. What I found remarkable is the fact that, if one was to hit it off in a conversation in a coffee house with Aboy Siraj one would take him for a Tigrean as in Ethiopian for his accent is too obvious to miss. I ask for forgiveness if I seem to throw a different angle to the celebration of an astute elderly man who out charmed a rabid dog but one would be tempted to fall back into the unsettling question if there is any difference at all between Eritreans and Ethiopians including in faith, language, culture, tradition, values and complexion as well. Selam Paulos, you asked if there is any difference between Eritreans and Ethiopians in various aspects; my simple answer is that there is no any significant difference between the two neighboring peoples. Recent historical developments have made it that now we have separate countries, a reality that we all have to accept and live with just like other neighboring countries do. Back in the early 90’s right after the defeat of the Derg regime, people were talking about the possibility of confederation and economic integration with eventual political integration between the two peoples. We were talking about open borders and double citizenships for those Eritreans/Ethiopians who lived in either country and who wished so. All of a sudden the atmosphere of friendship was changed to deadly enmity between the two regimes. I believe the two peoples are held hostage by the two regimes’ determination to prevail at the expence of the other. But eventually peace will prevail, geography and all the commonalities you mentioned “curses” as to live side by side and this cannot be achieved other than with mutual respect to each other. 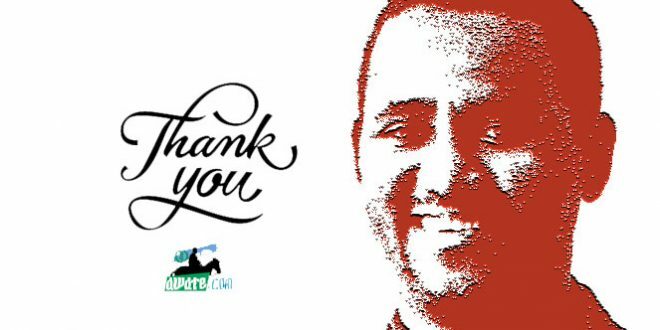 Thank you for reflecting the message of Mr Siraj, a gifted orator, who knows the art of making a case, even in the risky Eritrean political atmosphere. The gentleman who is rich in tigrigna proverbs, also reflected the art of dialogue of Eritrean culture that is lost in the current leadership of our generation. His speech as impeccable as it is, will be remembered and be told parallel with the current predicament in history book for generations to come. A wise man may pass away but his wisdom will live for generations to be invoked. May he rest in peace. Thank you for a sharing. What a splendid wise, very wise and very gifted man. Let him rest in peace. 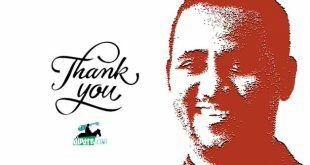 Well said, and I join you in expressing well-earned gratitude to brother Abdalla Yousuf for superbly reviewing the wonderful short speech but rich in wisdom, proficiency in language and skill in oratory. 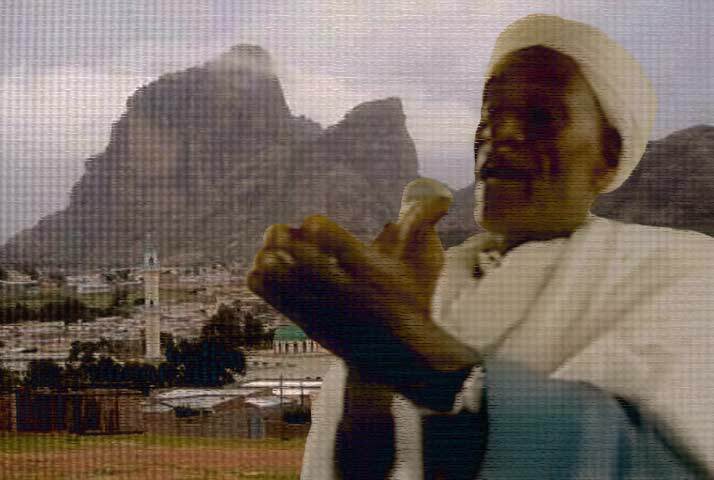 The late Sheikh Siraj represents perhaps so many gifted Eritreans like him. They are unknown giants who are custodians of wisdom and culture. Sadly, the unfortunate unwholesome conditions in their country deny the society from benefitting from their knowledge and potential. Opportunities as the one Sheikh Siraj got are extremely rare occasions that happen once in a long while.